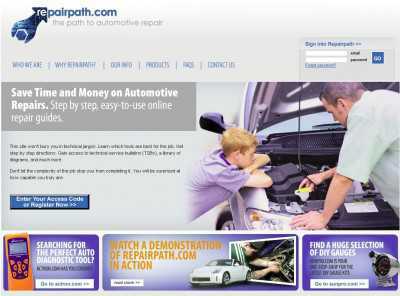 Auto repair is definitely not for everybody, and that’s why it’s great to have sites like RepairPath.com around. This site has been created by Actron, IE the folks behind some of the most important DIY automotive diagnostic tools in the market. Its objective is to give everybody ready access to professional repair and diagnosis resources, at prices that are really affordable. These include repair databases dealing with the following: “Fluids”, “Labor”, “Maintenance Intervals” and “Removal and Installation Procedures”. 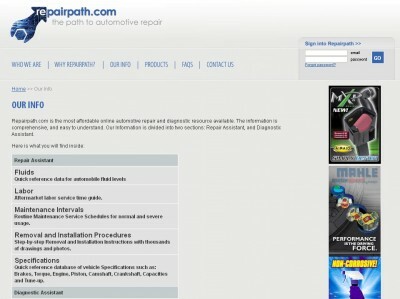 For its part, the featured diagnosis tools are grouped like this: “Component Locator” “On Board Diagnostics II”, “Service Bulletins and Recalls” and “Wiring Diagrams”. And you can buy any of the diagnostic products that have made Actron popular on its official site, too. Testers, lights, brake repairs… whatever you need to make your car feel like new again is instantly available there.